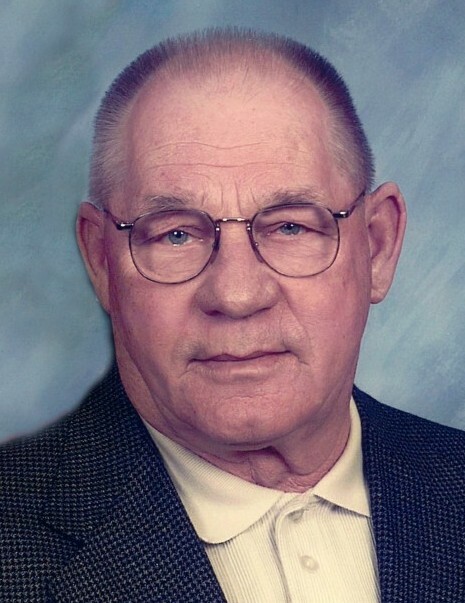 Richard Schwien, 80, of Calamus, Iowa, passed away peacefully in his home surrounded by family, Monday, March 18, 2019. Richard Fredrick Schwien was born at home in Chicago, Illinois, on October 26, 1938 to Fredrick “Fritz” and Catherine “Kate” (Jastzymbski) Schwien. He graduated from Calamus Community High School in 1957. Rich was united in marriage to Sharon Chase on October 26, 1957, at Wesley United Methodist Church in Calamus. He worked at the farmer’s coop elevator in Calamus and ALCOA before purchasing the Mobil gas station in Calamus. He later worked for the Clinton County Secondary Road Department, from which he retired after 22 years. Rich was a member of Saints Philip and James Catholic Church and the Calamus V.F.D. for 20 years. He was a charter member of the W.O.C.C., served as a councilman, and drove school bus in Calamus. He enjoyed playing golf, watching the Cardinals, Packers, and NASCAR, and spending time with his family and friends. He is survived by his loving wife of 61 years, Sharon; children, Carolynn, Dan, and Greg, all of Calamus; grandchildren, Ashley, Danielle, Jacob, Lexi; great-grandchildren, Addy, J.J., Joshua, Nova, and Victor; siblings, Dorothy Witek, Chicago, and Gerald (Kris) Schwien, Eldridge; nieces and nephews. He was preceded in death by his parents, a brother-in-law, Richard Witek, a nephew, Michael Schwien, and niece, Donna Witek. Visitation will be from 4:00 until 7:00 p.m. Friday, March 22, 2019, at Schultz Funeral Home, Grand Mound, with a Recitation of the Rosary at 4:00 p.m. Funeral Mass will be held at 11:00 a.m. Saturday, March 23, 2019, at Saints Philip and James Catholic Church, Grand Mound. Interment will be at Evergreen Cemetery at a later date. Arrangements are pending in the care of Schultz Funeral Home, Grand Mound.